The fortunes of the iPhone producer in China took a hit at the start of the year, after it was revealed net sales in the market dropped 26.7 percent year-on-year, a fall that Apple CEO Tim Cook admitted accounted "for all of our revenue shortfall to our guidance and for much more than our entire year-over-year revenue decline." To try and bolster the sales shortfall, Apple took advantage of the Chinese New Year to offer significant price cuts on the iPhone, a move that seemed to have worked. Between January 11 and January 30, Apple product sales reportedly rose 83 percent, with retailer Tmall seeing a 76 percent surge in sales during that time. According to analysts from Rosenblatt Securities in an investor note seen by AppleInsider, the boost is short-lived. 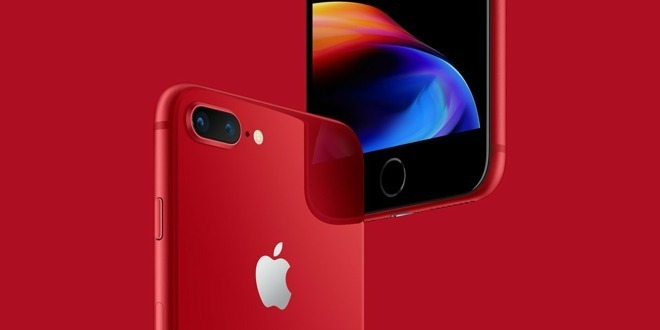 "After analyzing recent data points from Chinese retail channels, we believe price cuts provided little benefit to iPhone sales in the Chinese market," wrote Rosenblatt analyst Jun Zhang. The temporary benefit of the sale was also noticed by analysts at UBS on Thursday, which noted the price adjustments are "not yet having much positive impact on iPhone units." Rosenblatt notes the Chinese smartphone market as a whole was down 12.8 percent year-on-year in January, with non-Chinese brands such as Apple and Samsung accounting for a 50 percent year-on-year drop in the period. While component producers may enjoy a better January due to the sales, Rosenblatt believes a "lack of design changes" in the market as a whole won't help drive demand. For Apple specifically, Rosenblatt is maintaining its estimate of between 38 and 39 million units for the March quarter, but the slowing sales may cause June quarter shipment cuts, prompting the shipment forecast to drop by 1 million from 34 million to 33 million. Rosenblatt has set a price target for Apple at $150, and given its shares a "neutral" rating. Lowering price never gives long term demand. People wanting lower prices can clearly get refurbished or used iPhones. Apple needs to expand in newer markets ,like India & South Africa. Or they can push the $330 iPads in ads like never before. I believe they are one of the strongest products in Apples lineup. The price lowering is hardly mentionable. It’s slight. Lol 10-20% discount is slight. You should be looking at the refurbished or used market for bigger discounts. This guy can write any number he likes because Apple is not going to report the sales number of iPhones same as Crammer when he was shorting Apple stock he can publish any bs he liked because Apple is not going to refute the number. £200 off a £1000 phone is still £800. That's still very expensive in a first world country, let alone a developing economy, when there are phones with 80% of the features for 40% of the price. My flagship 6s was £649 on release, now the flagship is 35% more expensive, when the average price of Android phones from most manufacturers has been falling - and I gained a lot more features upgrading from my 5s to 6s than I would from 6s to Xs. iPhones are too expensive. It's literally only DED in the AI staff that claims sales aren't falling, but there are of course the apologist commenters here with their heads in the sand who worship DED and think Apple's current strategy (and pricing) is perfect. Apple's initial Xs pricing killed a lot of the hype and impulse buys, and the price drops are too little too late now that hype has evaporated. This. I avoid DED like the plague to keep from giving any ad revenue for his articles. iPhones are too expensive, which is why I’m sticking with my 7 until the price drops or it breaks. I did the battery replacement in December to prolong upgrading. Cannot justify $1000+ for a flagship phone, when it was $30 to get 2 more years out of a 7. And no, I don’t want a refurb or “second rate” phone like the 10 or 10 R. Flagship prices need to drop. Maybe if they made a slightly small phone than the 10S would I upgrade, but I would still think long and hard about it. DED reports FACTS. Don't like it? Go to the Verge. iPhone XS was priced the same as iPhone X, a very very very successful iPhone. His articles are mostly op/eds. His opinion is clearly present and the bias is also easy to spot. Rewind a little and check your own facts. On the very same day DED said Apple was doing just fine in China, Tim Cook issued renewed guidance saying completely the opposite. The facts are still there. A breath of fresh air from all the doom articles circling the internet as fact. There's a reason DED articles bring the most 1-post idiots. Apple should cater to countries. With the knockoffs copying all of Apple's features, Apple needs to partner with Chinese companies or like people have suggested, offer country specific items in Apple Stores. The situation in China is not only affecting Apple. Lowest economic growth since many years and higher than anticipated rise of personal debts at last show effects. In Addition, foreign companies are more likely to suffer from competitive disadvantages compared to local companies for various reasons.